After graduation, Manor College alumni have different options for their next step in life. Some transfer to a four-year college or university, and some head straight into the workforce. Manor prepares students to take these next steps, and Andrew Clark, class of 2016 was prepared to continue his academic and athletic pursuits upon graduation. Clark graduated from Manor in 2016 with an Associate in Science degree, having majored in Sports & Recreational Management. While at Manor, Clark was captain of the men’s soccer team. During his time as captain, the team achieved a 6-10 record. 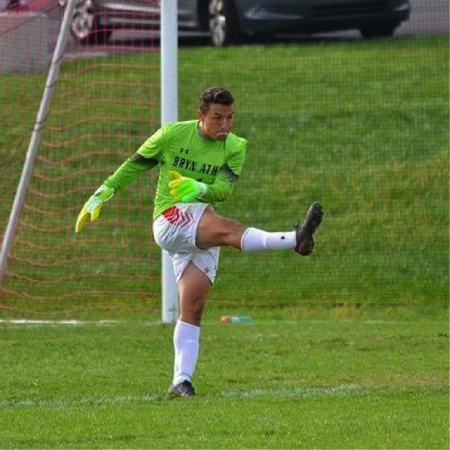 Clark has been very versatile on the field, playing in several positions such as goalie, striker and right back. After graduation, he transferred to Bryn Athyn College to continue his studies as a Business major and continued to hone his leadership skills as captain of the Bryn Athyn Lions Men’s Soccer team. 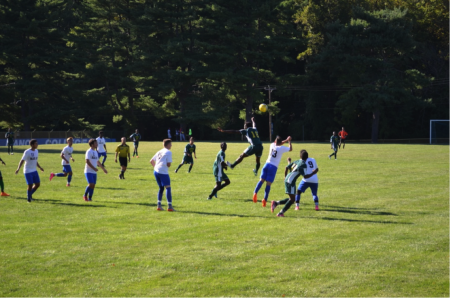 Clark has been playing soccer since he was about four-years-old and has always loved the sport. “Not only has it built me as a person, it has provided relationships that I will have throughout my life, whether that be players I consider my brothers or coaches I look up to as father figures,” he said. While Clark says being a student-athlete brought on challenges such as keeping up with classes along with practices, games and workouts, he says he wouldn’t give it up for the world. Manor has been a big part of the learning experiences he’s gained in the last two years. Along with hard work and pushing yourself, Clark offered up some advice for those Manor students who are graduating this year and not quite sure what they are going to do next. “Take that next step into getting your degree and starting your future. Use Manor as a building step to put yourself in a great position in getting your bachelor’s degree or starting a career, it’s such a good place to start out,” he said. Looking into the future, Clark is aiming to have a great season next year, graduate with his Bachelor’s degree dnd put his all into everything to see where it takes him. His time at Manor prepared him for what is coming next, and he encourages everyone to take advantage of all the resources Manor provides.